JD Landscaping Inc. | JD Landscaping Inc.
JD Landscaping is the dedicated lawn care experts that have been providing Central NJ's most effective solution for creating a beautiful, care-free landscape, since 1977. Let Us Build the Water Garden / Koi Pond You've Always Dreamed Of. Having a quality lawn involves providing a good soil, plenty of the right nutrients and quality lawn maintenance. Call us today to get started protecting your lawn! Custom applications insure your lawn gets the right nutrients at the right time of year. 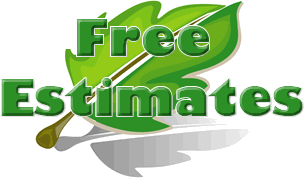 Our environmentally responsible delivery system means your lawn gets customized weed control. We like to utilize organic style mulch for all of our landscaping and planting areas because organic mulch decays over time and is temporary. The way a particular organic mulch decomposes and reacts to wetting by rain and dew affects its usefulness. The Grass is Greener … and Safer! JD Landscaping’s environmentally friendly approach to lawn care has been creating green lawns quickly, more naturally, and with fewer weeds since 1977. We offer high quality sod installation at a very affordable price. If your home needs a beautiful and healthy new lawn, JD Landscaping can help! Refresh your outdoor area by having a healthy, green lawn in your front yard, as well as your backyard.